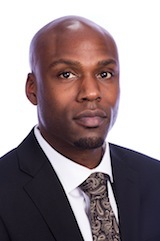 Gregory Calliste, Jr. is a New York employment discrimination attorney at Phillips & Associates. He possesses 13 years of experience handling civil, and criminal law matters, including employment law matters, at the federal, state and administrative levels. Mr. Calliste graduated with a Bachelor of Science in Applied Business Systems & Management from the State University of New York at Old Westbury in 1998. Following college, he worked at JP Morgan Chase. He received his J.D. from New York Law School in 2003. During law school, he was an associate at a NYC firm, moving among multiple practice areas and volunteering support (including help with estate and probate matters and obtaining federal assistance) to victims of the World Trade Center bombing. From 2004-2016, Mr. Calliste served as senior associate, managing a large caseload for a New York firm. Among other things, he successfully represented labor unions and union members in collective bargaining and employment-related matters. In 2010, he received the Public Interest Attorney of the Year award from the Jacob D. Fuchsberg Law Center at Touro College. $570,000 recovered at trial after an African-American woman sued a retail store for false arrest and discrimination in place of public accommodation. $1.277 million verdict for a racially motivated attack and serious injuries caused by violent acts against his clients, who were lured to an isolated warehouse. $7.7 million in wrongful death and civil rights lawsuit brought by a family of the victim. $4.7 million verdict in a lawsuit involving repeated racially motivated and discriminatory verbal assaults and a physical assault on a Yemeni-American employee by an African-American coworker. In that case, the supervisor failed to protect the employee and discipline the assailant. If you are a victim of racial or national origin discrimination at work, you should be aware that there are federal, state, and local laws in place to protect you. Under Title VII of the Civil Rights Act of 1964, for example, prohibited racial discrimination occurs when an employer treats someone unfavorably due to their race or because of personal characteristics associated with race, such as skin color or hair texture. An employer is not allowed to terminate your employment or take any adverse action against you because you are of a particular race, color, national origin, religion or gender. Racially motivated harassment is one form of employment discrimination. When an employer harasses someone due to a protected characteristic like race or permits racially motivated harassment by a supervisor or coworker to continue unchecked, an employee may sue for damages. Harassing acts may include blocking an employee from moving, inappropriate touching, gestures, statements and comments or physical intimidation. If these acts are so severe or pervasive that they create an intimidating or hostile workplace, an employee may recover damages by filing a claim with the Equal Employment Opportunity Commission (EEOC) and other state or local agencies, and then bringing a lawsuit as appropriate. There are limited windows of time within which to file a charge with the EEOC and other agencies, so you should consult an attorney right away. If you are a victim of intentional discrimination or harassment, under various Federal and State laws, you may be entitled to damages, including compensatory damages and punitive damages. Compensatory damages are designed to pay a victim of harassment or discrimination for any out-of-pocket expenses, such as those associated with a job search or medical care, as well as emotional harms like mental anguish or loss of enjoyment. When an employer's acts are especially malicious or reckless, punitive damages may be awarded to punish the employer and deter future similar conduct. Mr. Calliste is admitted to practice in the State of New York and the State of New Jersey. He is also admitted to practice before the Eastern District of New York, the Southern District of New York, Federal District Courts in the State of New Jersey, and the United States Court of Appeals for the Second Circuit.